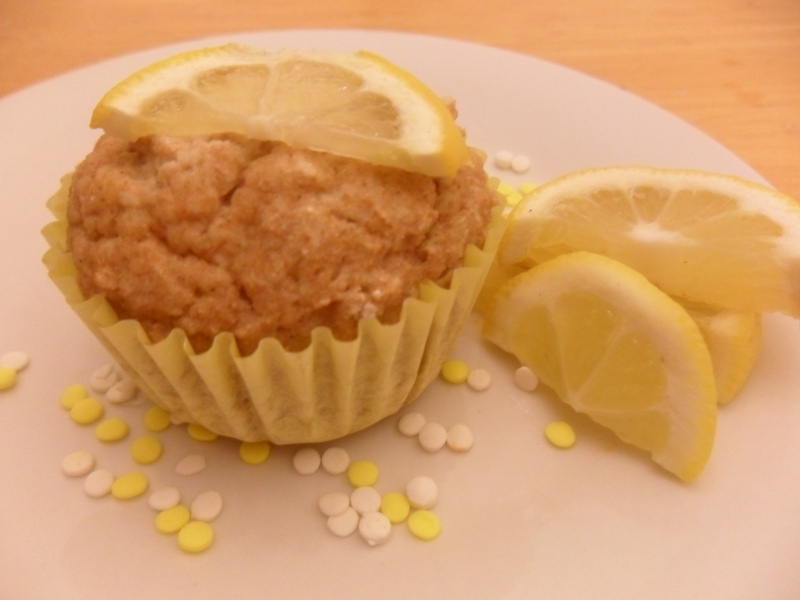 Remember my sweet lemon solo cupcake from late August? It was delicious & zesty, yes? Well now that we’re in the dead of winter, I figured it was high time for another fruity cake, but one more appropriate for the season. And you know the fruit won’t be expensive considering most grocery stores are selling oranges by the bag for just a few dollars this time of year. The recipe is below. I’d recommend pairing with coconut flakes or almonds. Or if you like a little sweet, cream cheese frosting. 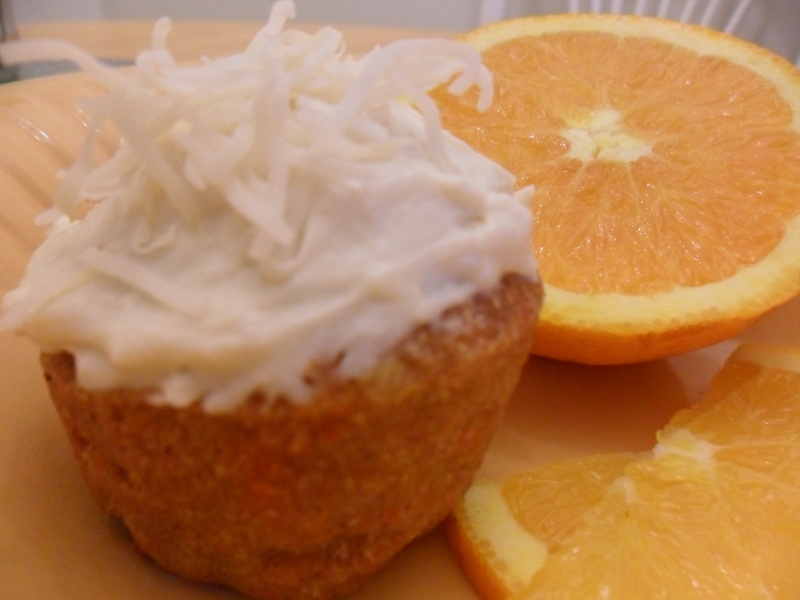 Check out my healthy Neufchatel cream cheese frosting recipe, featured earlier on my fluffy carrotcake cookies. -Preheat the oven to 330 degrees. -Mix the ingredients and pour into an oiled (or sprayed) muffin pan. Smooth top of batter. Bake for about 10 minutes or so. -Alternatively, you can cook in the microwave, in a greased mug or ramekin. (Microwave times will vary, depending on the flour you use and the strength of your microwave. Whether you need a protein-packed salad topper or you’re craving a very savory afternoon snack, this recipe aims to please. The fact that it’s incredibly convenient doesn’t hurt. favorite seasonings (I went with a garlic-pepper seasoning, but you could try a spicy creole one? A curried version? Or a Tex-Mex one featuring a heaping dash of my Preservative-Free Taco Seasoning). -Preheat oven to 400 degrees. Lightly grease a broil-safe pan. Set aside. -If necessary, rinse beans. Spray lightly and toss in seasonings of your choice. -Spread evenly over prepared pan and bake for about 10 minutes. Remove and toss them up a bit so they roast on each side. Return to oven for another 4-5 minutes or so. Then if you like, turn on broilers and let cook another 2-3 minutes. They should come out nice and crispy. If not, leave ’em in a bit longer. I feel, at this point in my culinary journey, that I can turn just about anything into a muffin or cupcake. Anything. Pizza is no exception. Actually, it’s a delight. 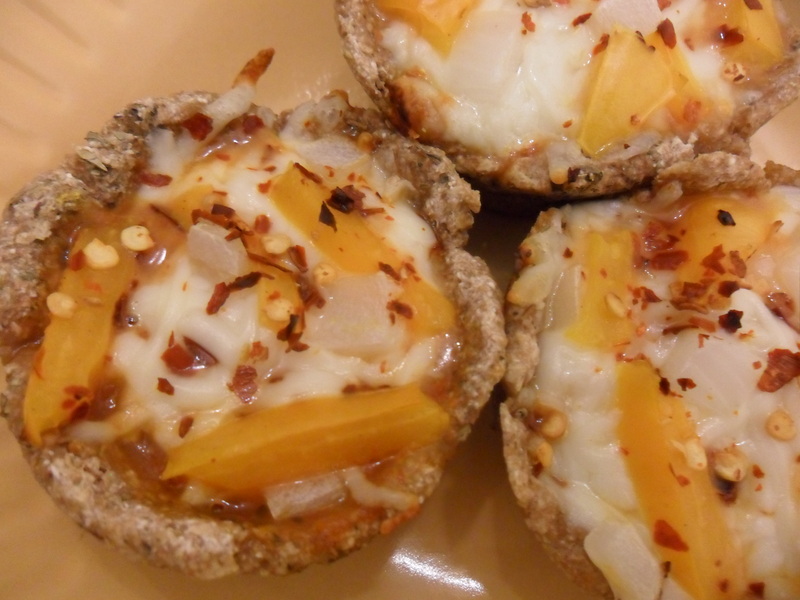 So on a boring Friday night dedicated to the rigors of reading ancient rhetoric, I made pizza muffins for dinner. …Okay, I secretly love reading Aristotle on a Friday night with some healthy comfort food; I will not lie to you. If the Greeks originally invented the pizza pie, would Aristotle be proud of my ability to invent and arrange such a wonderful creation. I like to think so. 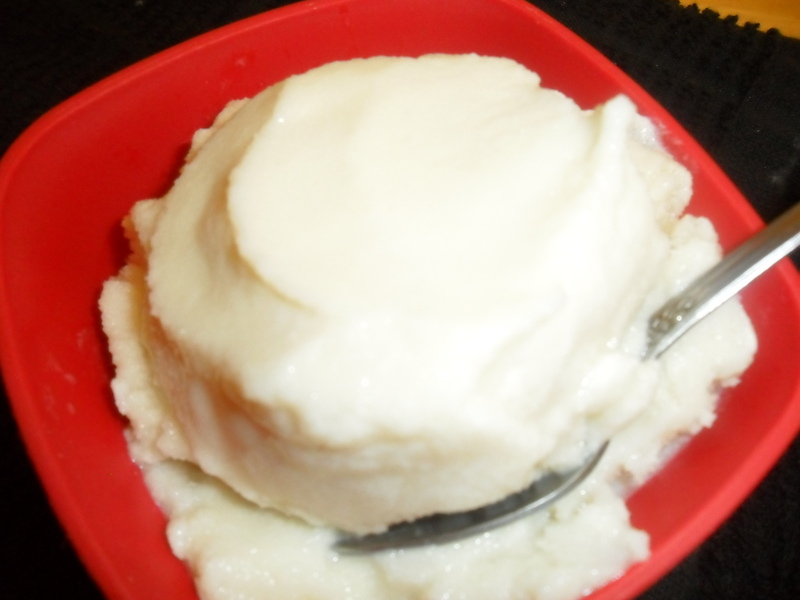 -In a bowl, dissolve sweetener and yeast in 2.5 T hot water. Let stand for about five minutes. 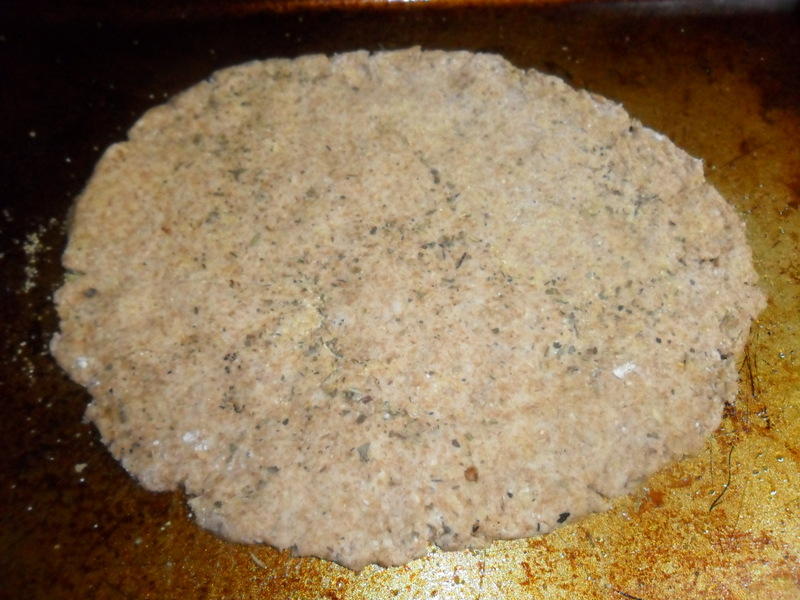 -Add flour and salt to the yeast mixture and stir ’til a soft dough forms. Turn out onto lightly floured surface and knead until smooth and elastic. 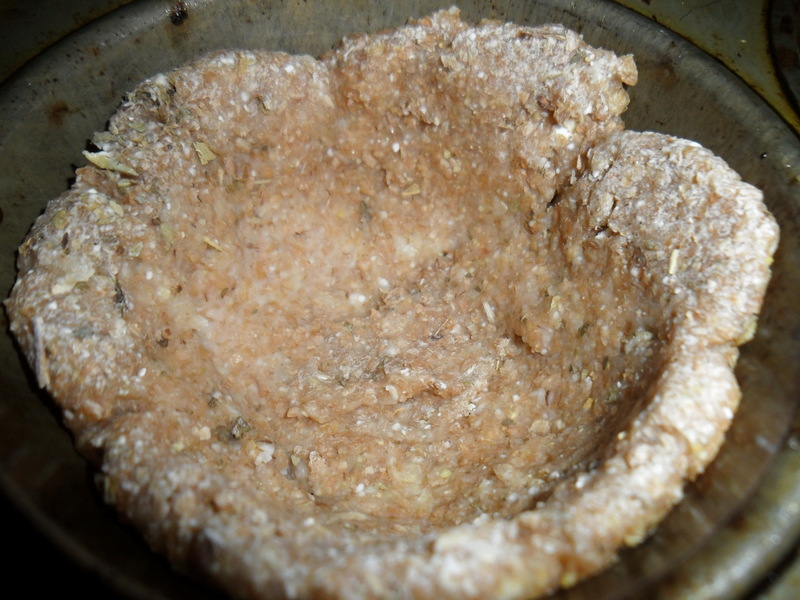 -Place in bowl coated with cooking spray, turning to coat the top. Let rise ’til double in size, about 30 minutes. 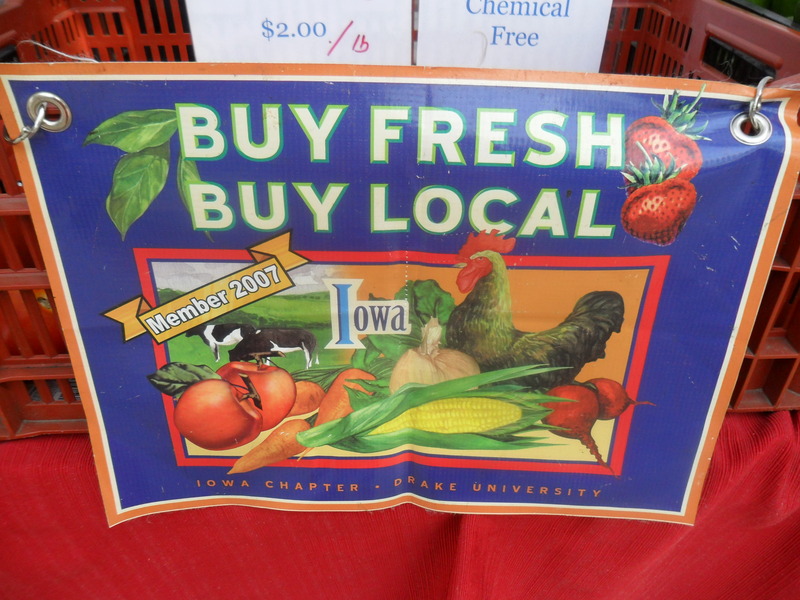 And get your veggies local if you can! -Preheat oven to 400 degrees. 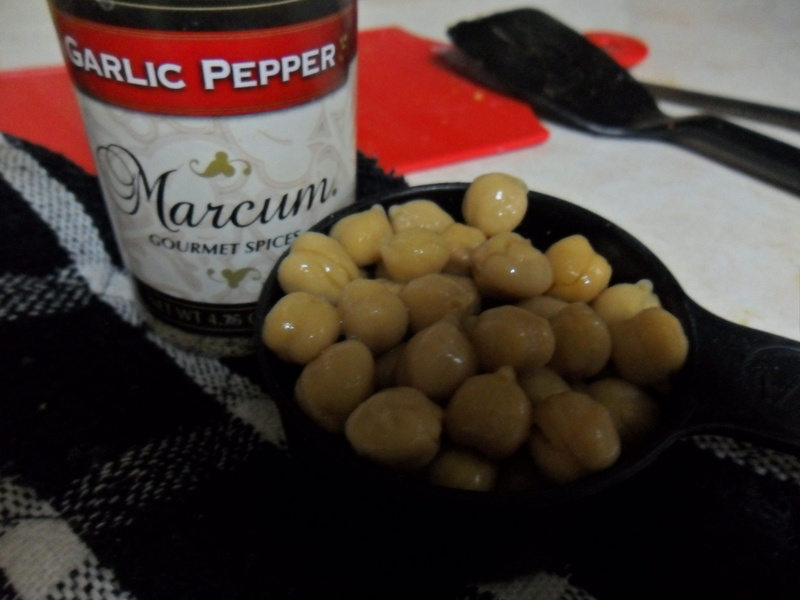 -Punch down and work in seasonings. Roll into a circle or square shape. Divide into 3-4 parts and press into the muffin slots of a lightly greased muffin tin. Bake for about 5 minutes. Remove from oven and begin topping process. 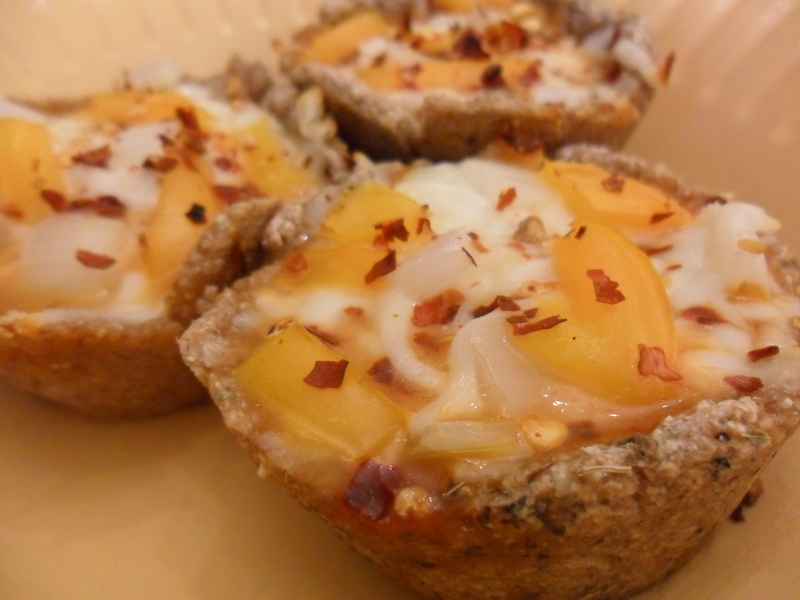 -Spoon sauce evenly into muffin cups, and then top with cheese (plus any additional seasonings you’d like). Begin layering veggies and cheese and seasonings as desired. -Place back in oven for about 5 more minutes or until cheese is bubbly. Serve warm. This cookie recipe for one (one Santa or one lucky snacker) is nothing but helpful and yields quite a few cookies. 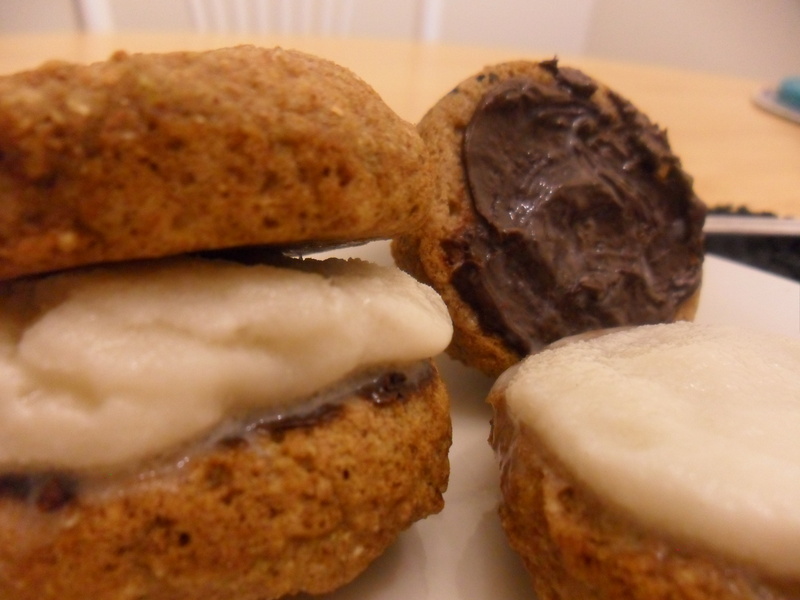 It features some seasonal flavors–ginger and molasses–plus some chocolate and peanut butter for richness. I adapted it a bit from Chocolate-Covered Katie’s group-sized version. Hope it brings you some holiday cheer! Makes 6 small or 4 good-sized cookies. -Preheat oven to 350 degrees. Lightly grease a cookie sheet. Set aside. -In a small bowl, combine all the dry ingredients. Push to one side. Add in applesauce; then vanilla. 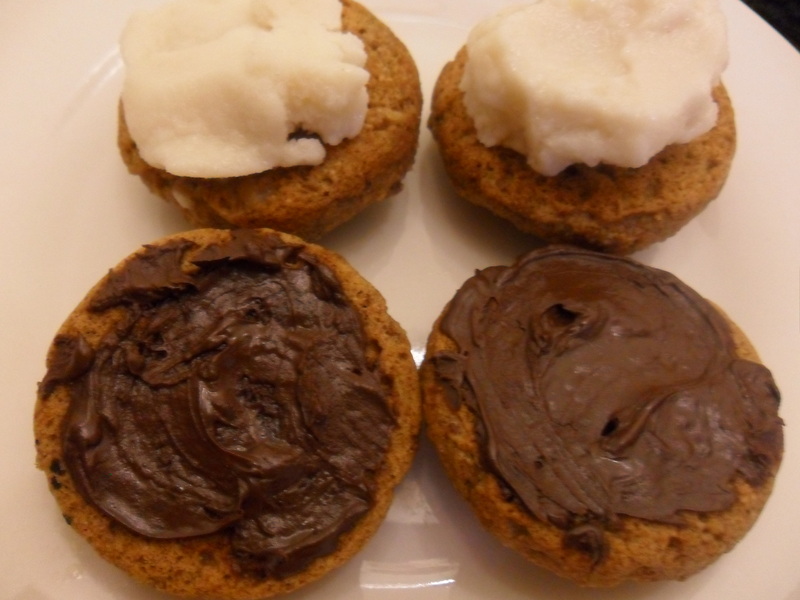 Mix in remaining wet ingredients (molasses and peanut butter). -Optional: refrigerate for 30 minutes for a better cookie. -Roll dough into small bowls. (I was able to make six!) Press the dark-chocolate chips into the tops of the cookie. You could try a crushed candy bar or a Hershey’s kiss, too. Bake for about 7-9 minutes or until cookies are baked but still soft. Remove from oven and let stand for a few minutes. Top with a peanut-butter cream frosting if you want to find a little something extra under your Christmas tree. You can gobble them up while they’re still warm or wait for the big man to come down the chimney. Either way, you won’t be let down. Marshmallow Ice Cream. Doesn’t that sound like a dreamy dessert? I can’t tell you the last time I had a marshmallow. No jet-puffed, hydrogenated sugar lumps for me. That’s why I like this recipe so much! I also love s’mores. Remember my home-baked take on the s’more? The one with the coconut-marshmallow replacement. Well, we may need to re-do that coconut-macaroon-marshmallow alternative because now we’ve got this tasty ice cream as a new option. Maybe we should call it the winter s’more? 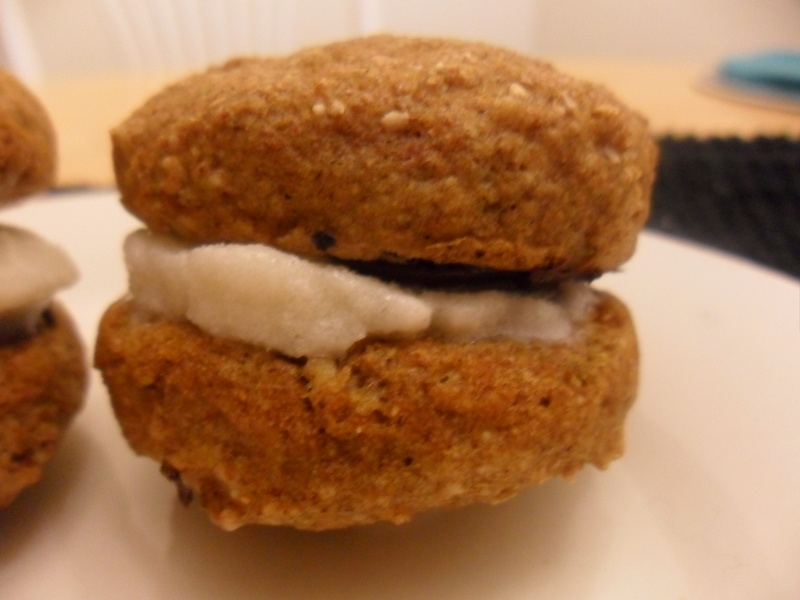 Just like I dubbed the s’more whoopie pie the cold-weather version of the traditional, warm & melty summer s’more. So simple! Just mix all ingredients well, being sure to get all the marshmallow creme lumps out. Pour into ice cream maker and prepare as directed. If you don’t have an ice cream maker, I recommend pouring the liquid into ice cube trays, freezing, and then blending. Or you could also pour the liquid mix into popsicle molds. I topped mine with some chocolate and graham crackers for a s’more twist. 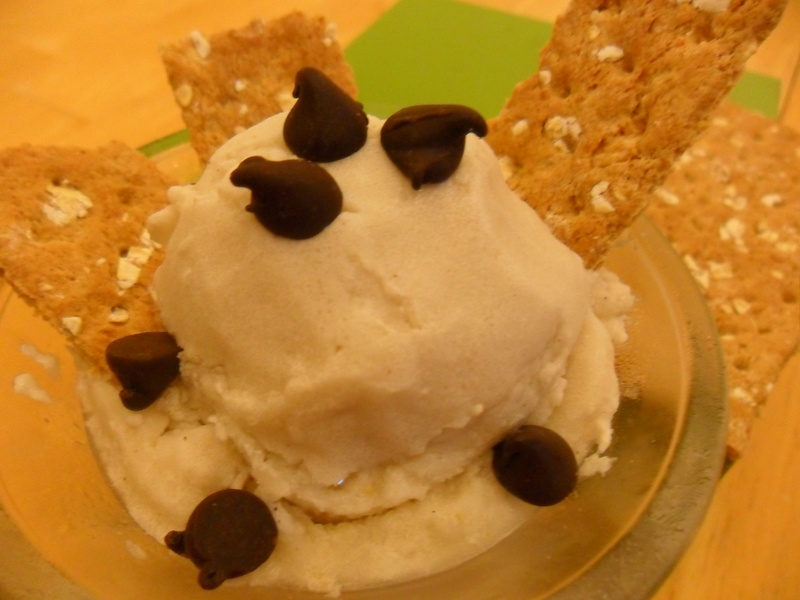 What toppings would you pair with a marshmallow ice cream? Whoopie pies! S’mores style and seasonally appropriate. Thanks, to Chocolate-Covered Katie’s multiple serving recipe, I’ve broken this one down and subbed coconut butter (the marshmallow part) for vanilla-maple ice cream. And since s’mores are traditionally eaten during the summer, when you can actually toast them up around the campfire, I’m dubbing this the perfect too-cool-for-camping winter alternative. 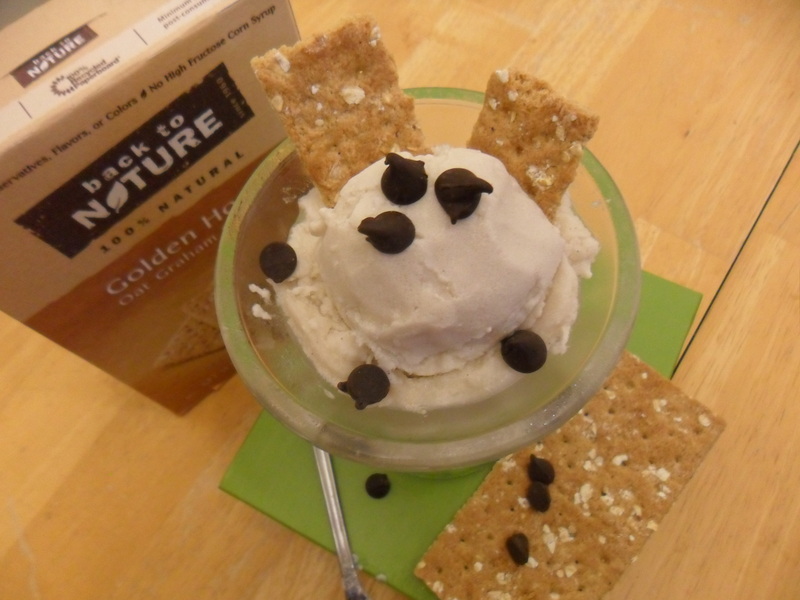 You can make it indoors and it features cold and creamy ice cream instead of a warm marshmallow. -Mix vinegar drops into milk. Mix well. -Then mix all wet ingredients into milk-vinegar mix, and then mix in each of the dry ingredients. -Once all is blended, drop small balls on sheet and bake about 8 minutes. Let cool slightly, but while still warm rub a few chocolate chips on the flat, bottom side of half the cookies. Once completely cooled, put a dollop of ice cream (or other preferred topping) on the other half of the cookies. Press together and enjoy! If you know me by now, you know I have a weakness for warm, melted chocolate. Honestly, half of the cookies and cakes I feature on this blog are dabbed with a little melted dark chocolate right after I snap a pretty, chocolate-free photo. Or if there’s chocolate chips already in the recipe, it’s promptly melted and devoured. 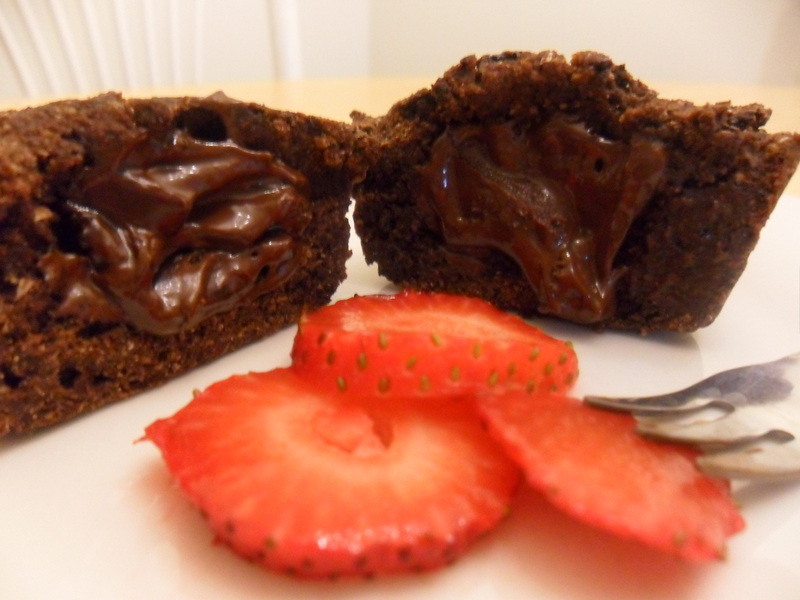 So I’ve always been drawn to the idea of a molten chocolate center. Okay, I have to be a little honest here. I think chocolate lava cakes are a little hokey, a cliche fixture on every franchise restaurant menu, right? But I guess this just means I’m not alone. 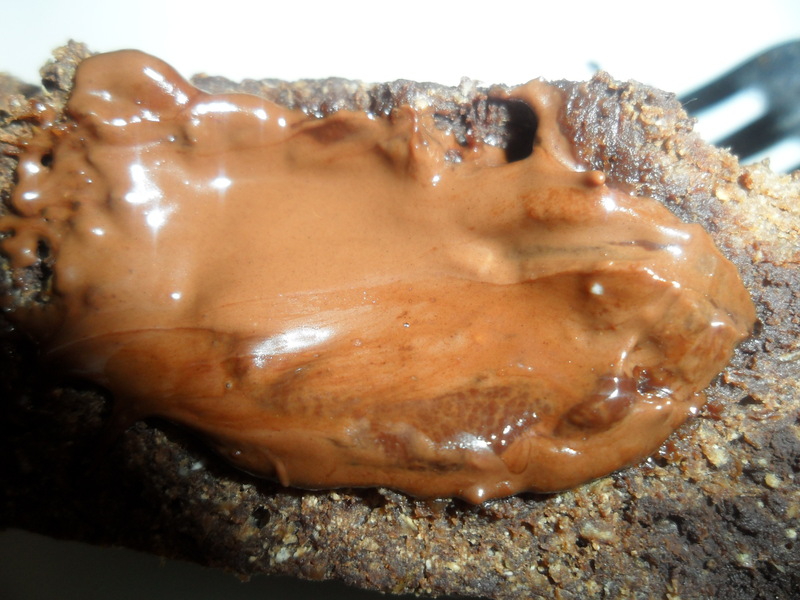 People love melted chocolate! 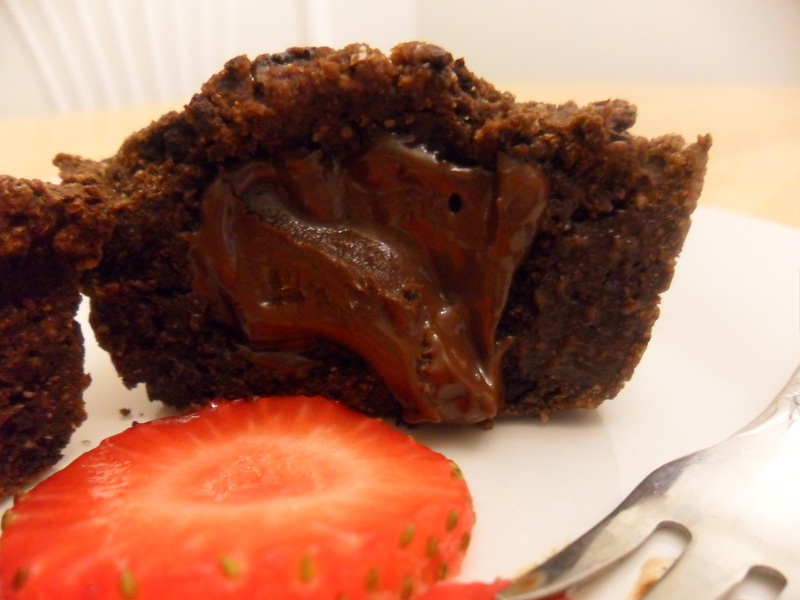 A few problems in my quest to find the perfect mini chocolate lava cake recipe: 1. They’re very complicated, and 2. they’re rarely healthified enough for my taste. That’s why I was so jazzed when I came across this healthy, simple recipe from my new favorite site: Clean Eating. One tiny pediment though. I read this recipe as one of those where the center stays ooey gooey, making for a molten center without any additions. When I baked as directed, this molten center was not achieved. This may be due to the fact that I adapted this from a four-serving recipe to a single-serving one. It may also be that the baking time they recommended was too long. I wasn’t going to take a risk, the second time around. No, my solution was to pop a dark chocolate Ghiradelli square in the center before baking, folding it in the center of my batter. Cheating? A little bit. But hey, I’m a busy grad student and teacher who needed a quick molten center. I like to think I was resourceful. Preheat your oven to 400 degrees. Lightly spray a 4-oz custard cup or a muffin tin slot. 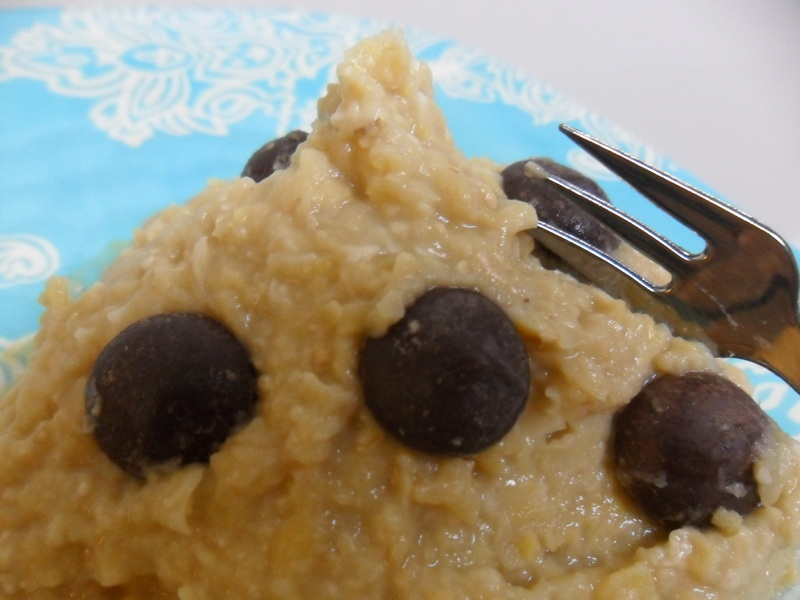 In a small bowl, combine cocoa and sweetener; then whisk in applesauce and oil. In a separate bowl, lightly whisk egg before adding to cocoa mixture. Once you combine, whisk all until smooth. Stir in flour and vanilla until well combined, but do not over mix. Pour into prepared baking dish and bake for 9 minutes. Ideally, you remove these when the centers are still soft, but sides have firmed up. But hey, if you want an extra chocolate-y center, you can always pop in some chocolate. Gently pop out cake onto a serving plate. Garnish each cake with fruit slices, if desired, and serve warm. If you’re on Pinterest, you’ve seen this recipe. Everyone and their brother has added it to their token food boards. And one can understand why. 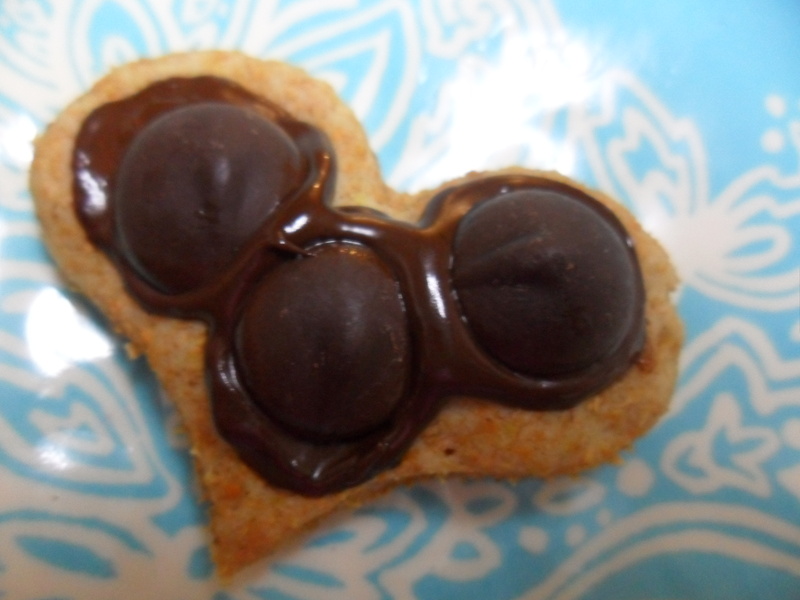 Chocolate-Covered Katie, my all-time favorite healthy dessert blogger, never fails to impress. This recipe is pretty good. It reminded me a lot of her other bean-based cookies I’ve tried on this site. But there’s something less appealing to me about this dip for some reason. It’s not the unconventional ingredient or the fact that everyone pins it over and over again. I think, instead, well… Just read through my single-serving version and when you get to the end you’ll see how I ate this instead. 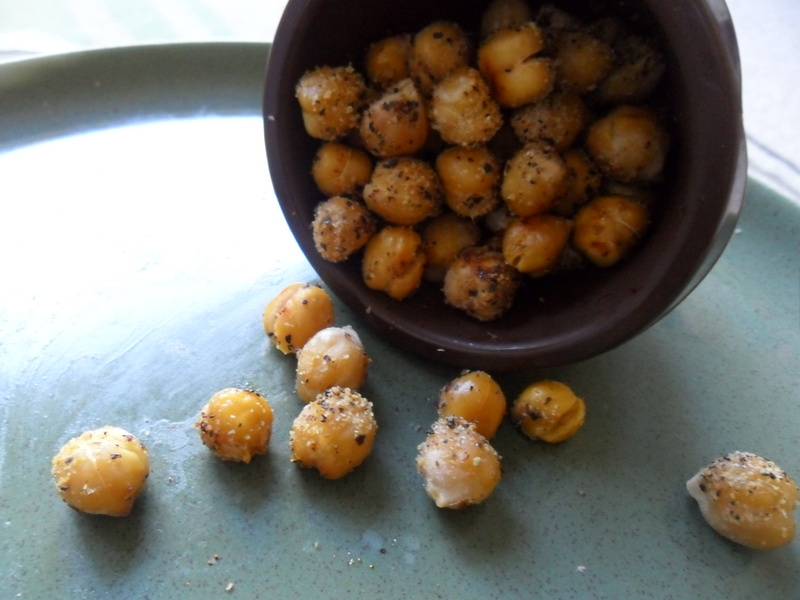 -In a blender, puree the chickpeas. Then add in the remaining ingredients, except the chocolate chips. -Blend once more until smooth dip forms. Once finished, whip up the dip in a cute bowl, and prepare whatever dipping sticks you’d like. Oh, the possibilities. Cooking is always better when it’s creative. but a powdered brownie would be delightful. Brownie cookies. Need I say more? Have fun decorating these however you like. You can press the dough balls into the chips. 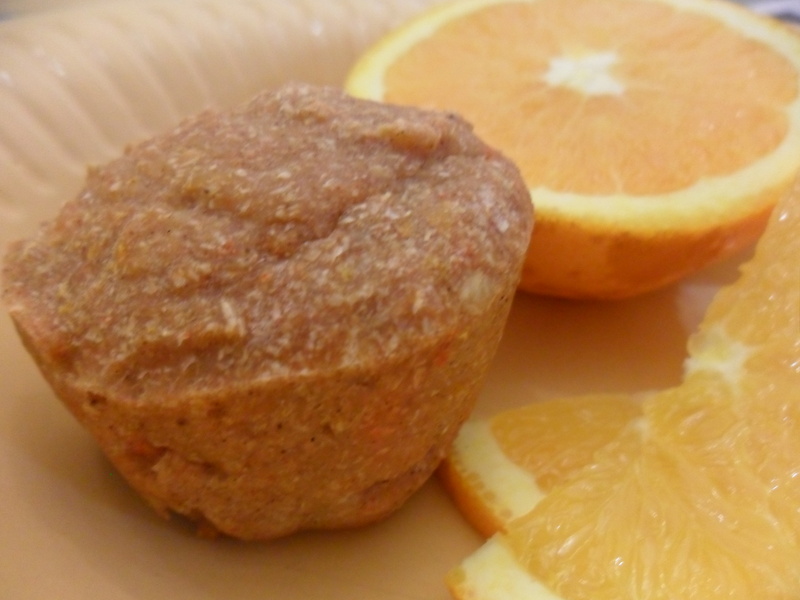 You could also try this with another candy or coconut flakes would be delicious. Because I was serving these at a potluck, I tossed mine in powdered sugar for a sweet snowy effect. -Combine all dry ingredients; blend in wet, but don’t overmix. Shape into dough balls and refrigerate for half an hour. -Meanwhile, preheat your oven to 325 degrees. Lightly grease a cookie sheet. Set aside. -Bake cookies for about 8 minutes. They should come out gooey. They’ll stiffen up a bit after baking. Let cool. (Or if you’re like me, gobble them up while they’re still warm and soft!). 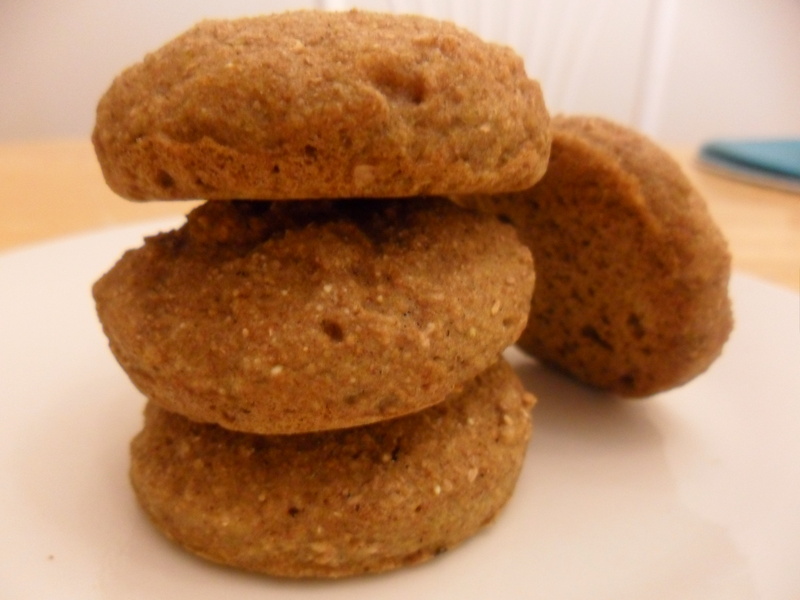 You’ve seen by pumpkin pie baked oat meal. And even my peanut butter cup baked oatmeal. Meet a new breakfast (or dessert) favorite. 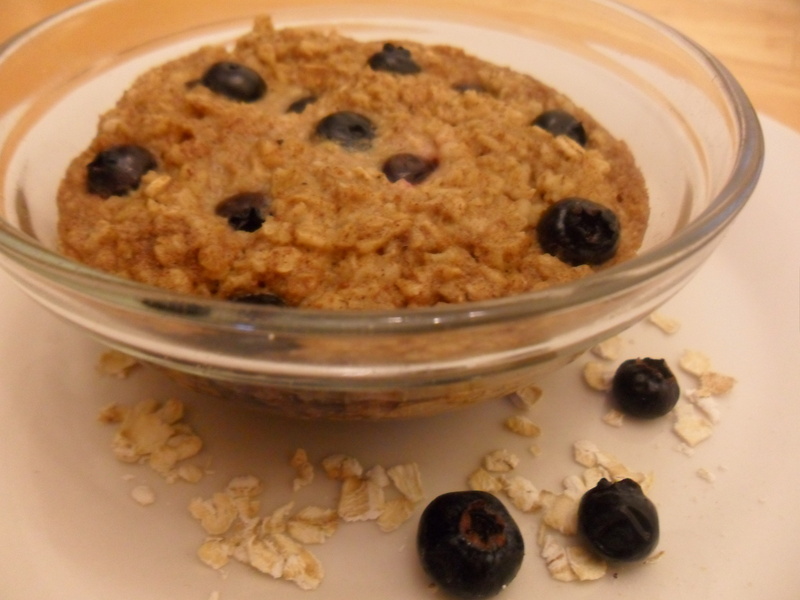 A little single-serving of blueberry baked oatmeal. Very similar to my blueberry crumble bars, yes, but this recipe is more like a traditional baked oatmeal cake, less like a bar. When I found the original recipe, it made about six servings. That’s way too much for this live-alone lady, so I give to you my single-serving version. I hope it fuels your day in the most healthful way. And how could it not? 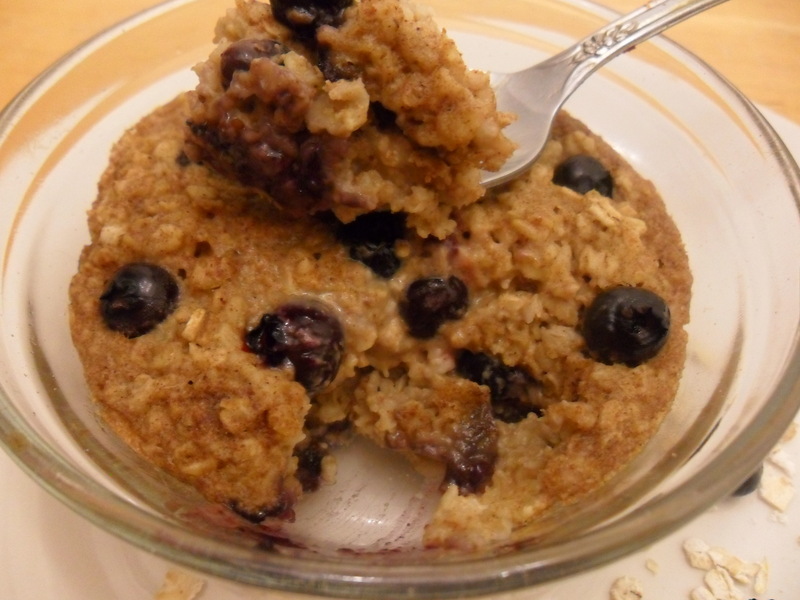 Oatmeal and blueberries might be the most nourishing food duo I can think of for breakfast. Have you ever seen a more wholesome-looking breakfast? -Preheat oven to 375 degrees. 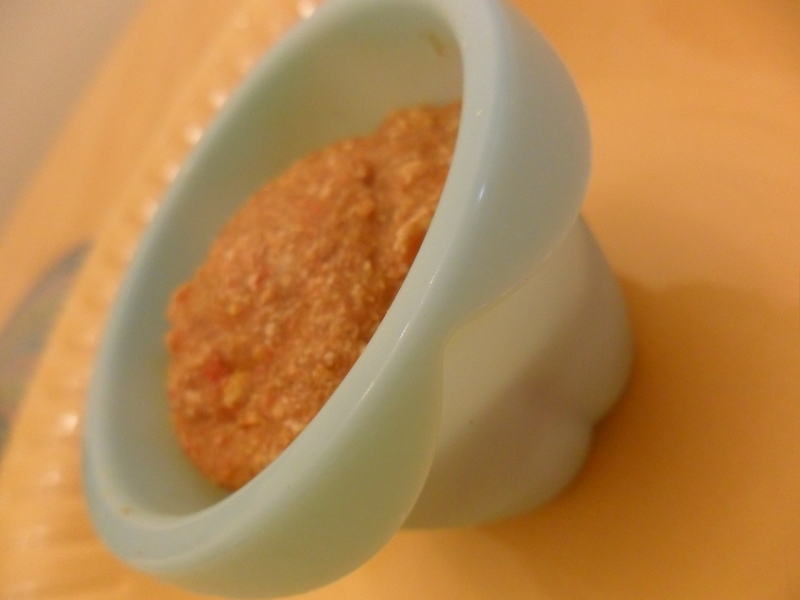 Lightly grease a ramekin. To make a fruit bottom, press berries (or bananas! or another fruit) along the bottom of the dish. Set aside. 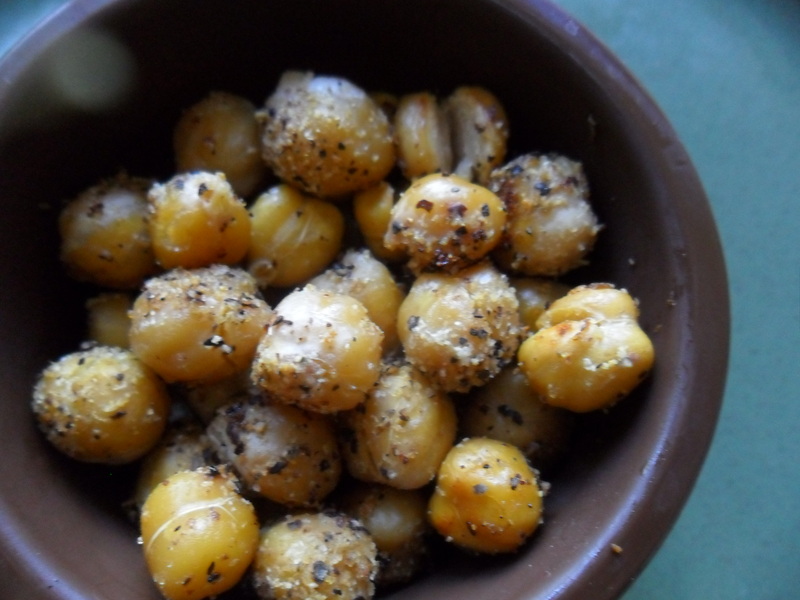 -In a small bowl, mix together all dry ingredients. In a separate bowl, mix together all wet ingredients. -Now you can either combine wet and dry and pour into dish in layers, layering berries as you go, or you can pour dry mix over the berry bottom and then drizzle wet mix over dry (soaking as thoroughly as possible). -Press more berries into the top and place in oven for 10-12 minutes. Serve warm.